For all you bluegrass fans, the Traveling 219 Project presents Richard Hefner and the story of the Black Mountain Bluegrass Boys–the local Pocahontas County, West Virginia born and bred music staple. Richard grew up in Mill Point with his family, where his mother Elsie ran the post office and served as the matriarch to a family of humorists and talented musicians. Elsie’s brother, known as Uncle Dude, taught Richard his brother Bill to play music. The three of them formed the band–with friends Harley Carpenter and Dwight Diller–and wrote many of their songs in the family home at Mill Point. Today, over forty years after the band was founded, Richard continues to live and perform close to Route 219 with the Black Mountain Bluegrass Boys. The Black Mountain Bluegrass Boys in Cass, W. Va. Photo by Laurie Cameron. If you’ve been around Pocahontas and Greenbrier Counties long enough you’re bound to have heard or seen the Black Mountain Bluegrass Boys performing their traditional style of the hard driving high lonesome sound. 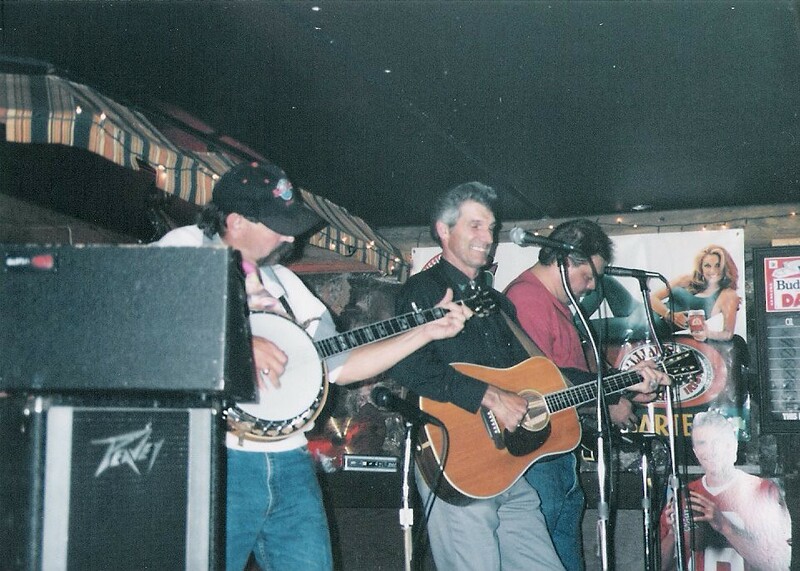 The band may be the longest running bluegrass band in West Virginia today. Richard Hefner started playing banjo when he was young, and in the 1960s he helped start the band that has been a big influence for many bluegrass bands around the area. “We started, well as I remember, ’68. We got together here at the house and we just started getting out playing at churches and fire departments. Doing things like that. And then we got on the radio then finally,” Richard recalls . Back at that time the boys were in their twenties and Richard’s uncle, Glen Irvine—who everybody knew as Uncle Dude—was playing mandolin. Uncle Dude helped teach Richard and Bill to play music, and also introduced them to a lot of old country and bluegrass tunes. “Uncle Dude, lived with us most of the time, [he was] the one who really taught us all how to play music. He was born hydrosephalic–water on the brain–and he got polio when he was five. He learned how to play the harmonica. From there on he learned to play every stringed instrument there was, I guess. He was an incredible guitar player. He played Merle Travis, Chet Atkins. Played the mandolin really good. He was our first mandolin player,” says Richard. In 1971 the band recorded their first album: Pure Old Bluegrass. Richard and Harley in later years. Courtesy of Susan Hefner Kershner. “That first one we did was in January 1971, and it ended up being an 8-track tape. That’s when 8-tracks were popular. That was me and Harley Carpenter, brother Bill Hefner, Uncle Dude, Woody Simmons, and Dwight Diller playing the bass. We went to Waynesboro, Virginia and cut that. We did that in a day. We did it the way you’re supposed to. Standin’ in a circle and everybody if you mess up you have to start over again, you don’t stop, you know. That’s a different thing” from way most bands to it today, explains Richard. That would be the band’s last recording with Uncle Dude, who died in 1974 at the age of 41. In the mid-70s the band’s personnel continued to change but Richard and the rest of the Black Mountain Bluegrass Boys decided to take the music on the road. 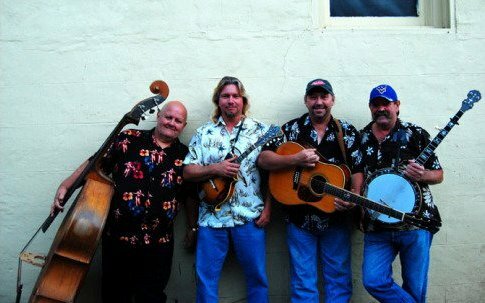 A more recent photo of the Black Mountain Bluegrass Boys. Courtesy of Susan Hefner Kershner. This story was produced by Dan Schultz of the Traveling 219 Project. The project is a production of Allegheny Mountain Radio. It is supported by the Corporation for Public Broadcasting and the West Virginia Humanities Council.